Sikkim Manipal University (SMU) provide admission into Distance Learning MBA courses through it's pan India based study centers. 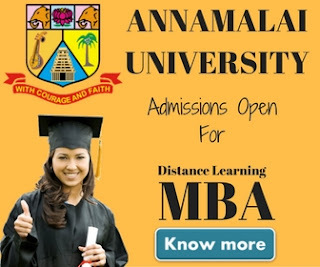 Read about SMU Distance Learning MBA Admission 2019, Sikkim Manipal University Distance Education MBA Fee structure & Eligibility Criteria. In our last post on MBA Courses by SMU we'd discussed in details about the management program offered by the university. SMU is a top ranked university in India & known for it's quality of education. If you wish to take admission into MBA distance learning programme read the details below. Candidate wish to take admission into 2 years distance MBA course offered by Sikkim Manipal University follow the following steps. Download the prospectus from http://www.smude.edu.in website. Visit your nearest SMU study center. Fill out the application form & submit it with attested supporting documents & course fee by way of a Demand Draft in favour of “Sikkim Manipal University, DE” payable at Manipal / Udupi..
Center will verify the documents & will send them to the university. University will verify the application form & will post the status on SMU DE website. University will also allocate a registration number & photo ID. Student can collect his Photo ID, EduNext password & study material from the study center. Candidate must be having a 3 years graduation degree from an authorized university to be eligible for the MBA programme. 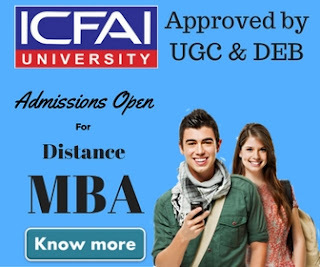 The per semester fee for SMU distance learning mba is Rs.13,400/- (inclusive of Exam Fee Rs.1200/- & Alumni Fee Rs.100/-) or as revised from time to time. For more information about admission kindly e-mail helpdesk@smude.edu.in or call us at 1800-266-7878 You can also apply online at http://admissions.smude.edu.in. You may also read SMU Distance Education MBA.